We all know about seniority in secondary schools but who knew corps members will one day claim seniority and ask to be respected by those who began service months after them. 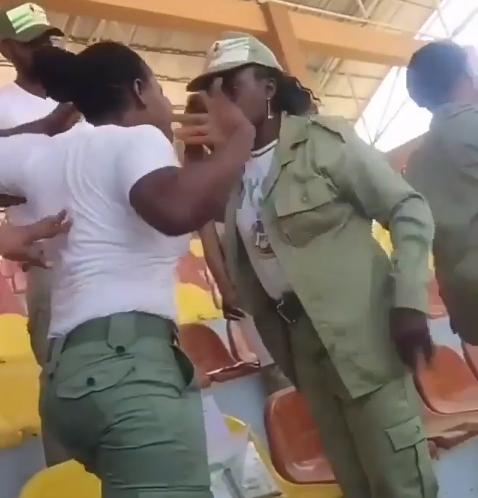 A batch A corp member was filmed confronting a batch C corps member and demanding that she respects her because her batch began serving the nation first. The confrontation took place in Ekiti state on Monday, January 7, 2018, during the CDS meeting of dance and drama CDS and soon degenerated into a fist fight.